The best seafood dishes of Els Estanys are the black rice made with blackened onion, and the 'fideuà' noodles, the best in Platja d’Aro, say locals. 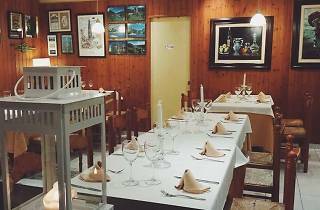 Els Estanys is a rarity worth bearing in mind when you're trying to choose among the huge range of Costa Brava restaurants specialised in rice dishes and seafood cuisine in general. It only opens at the weekends, and your best bet is to go for the affordable set menu, whose main course always features rice dishes, paella or 'fideuà' noodles. The black rice is excellent, and takes its colour not, as is the traditional way, from cuttlefish ink, but rather from blackened onion; similarly, the seafood 'fideuà' is the best in Platja d'Aro, according to local opion. 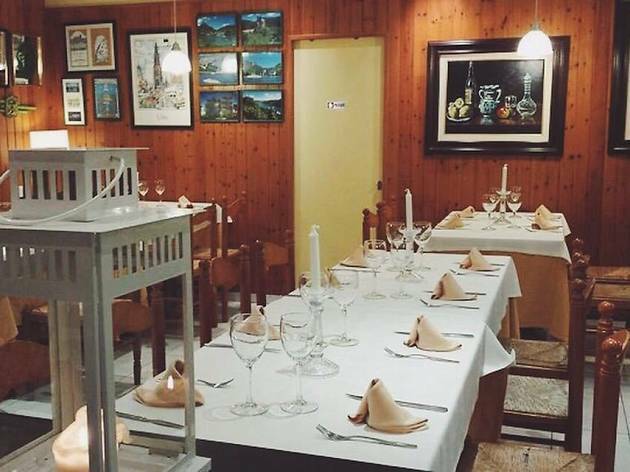 Setting it apart from the traditional cooking of many restaurants in the region, Els Estanys is the only place in Platja d'Aro, and probably in the whole Costa Brava, to specialise in German cooking. The long friendship of the family that runs the restaurant with a German chef has seen them incorporate around 30 dishes into their menu from the home country of their friend, including Munich-style roasted knuckle, and the 'kassler', a salted, cured pork fillet created with various local accompaniments. If you go in a group, they also have an extensive selection of fondues.